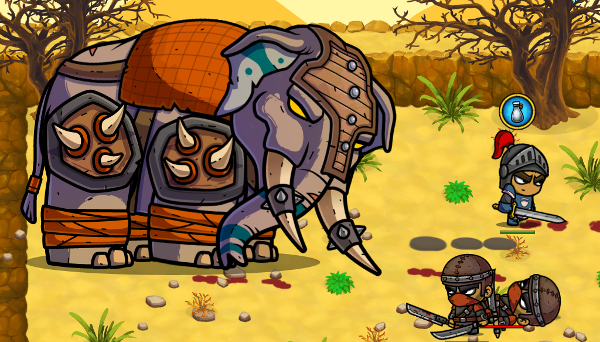 Version 3.1.4 is online with the 4th desert boss: The War Elephant. This is an important milestone, because all the bosses I planned for the first full game release are now in the game. The initial plan was actually 20 or 21 boss, but as the game has been developed many new ideas came and now we have 24. I do have some ideas for 4-5 more bosses, but those will come after Early Access. I plan to exit Early Access in May this year if all goes as planned.